Fancy yourself as a bit of a sporting expert? Our 2019 year of sport Predictor is the perfect place to turn your sports predictions into £1 million if you back your knowledge. At just £1 to enter, make 14 predictions on how you see the year of sport going, with the deadline for entries this Sunday, as the first question based on the coin toss of Superbowl LIII. If all 14 predictions on some of the big events such as who will win the ICC World Cup, Rugby World Cup, UEFA Champions League & the Premier League Darts are correct, you’ll get your hands on the £1m. Even if you fail to scoop the Jackpot, there’s still £175 worth of prizes to play for. The 14 questions are split up with five yes/no, including ‘will Lewis Hamilton retain his F1 crown’ with 10 points on offer if you get this right. There are nine multiple choice questions, including ‘who will win the Champions League’ with favourites Man City, Barcelona and Juventus all available to pick at a x1 multiplier, meaning they’ll score you 20 points if one comes through. However, if PSG at x2 were victorious, you’d score double points with 40. Your Banker will score double, and if you score the most points in the pool, you’ll take home the £100 first prize, and of course get all 14 correct to scoop the £1 million! Before the £1m Jackpot pool shuts, there’s a Six Nations Predictor to play, also just £1 to join with the deadline this Friday at 8pm, ahead of the opener between France & Wales. The format is similar, with 13 predictions to be made and you’ll need to get all 13 correct to win the £100K. But even if you fail to get the top prize, there’s £100 to be won if you score the most points in the pool, so there’s still something on offer for putting your rugby union knowledge to the test. The six yes or no questions include ‘will Ireland win the Six Nations’ who are currently odds on favourites to do so with the bookies, at 4/5 according to Oddschecker. ‘Will Wales beat France’ in the opener is also a yes/no question, with the Welsh slight favourites at evens, compared to 21/20 on the hosts. The multiple choice questions include who you think will score the most tries in the Six Nations, with England’s Chris Ashton and Wales’ George North among the favourites at x2. Also predict how many tries you think will be scored in total, how many yellow cards will be shown & what the biggest margin of victory will be in any match and much more, in your attempt to scoop the Jackpot. Because two just isn’t enough, there’s a third Jackpot Predictor for you to play if you fancy yourself as a top darting tipster. The deadline to get your £1 entries in for this one is Thursday February 7, this time with 12 correct Predictions enough to see you take home the £100,000 top prize. 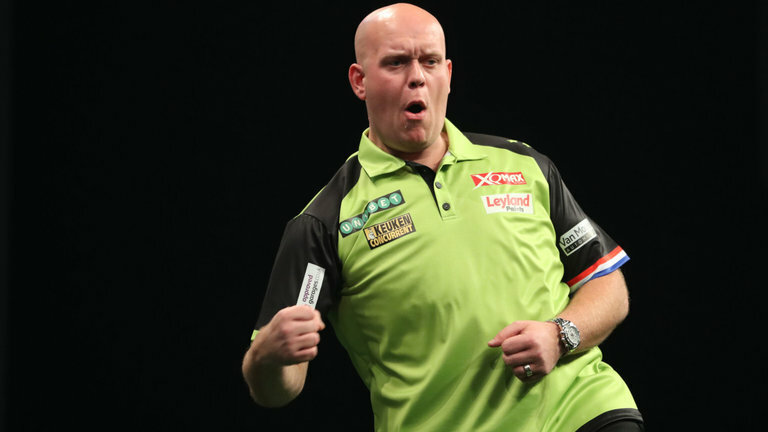 The first six questions are yes or no based, including ‘will Michael van Gerwen win the 2019 Premier League Darts’ with the defending champion 4/6 on to win his fifth title. ‘Will James Wade beat Raymond van Barneveld in week one’ is a 5/4 shout with the bookies while a nine dart finish to be hit in any match is 5/6 for both yes and no. Multiple choice questions include which player you think will finish bottom of phase one, with Gerwen Price favourite to finish 10th for the second year in a row. Predict which night will see the most 180s hit and more, and buckle yourself in for more than three months of top quality darts drama. So with just £3 to spare in order to play our three Jackpots - make your deposit here and give yourself a great chance of winning HUGE cash prizes at i-pools!